Gigio: he's watching me, isn't he? Leo: yes, I'm watching you! What are you doing there on the couch without me??? Well, c'mon Leo, assert yourself! Don't just sit there playing the victim! Never forget you are a bunneh! Play nice now bunns. Sharzees. 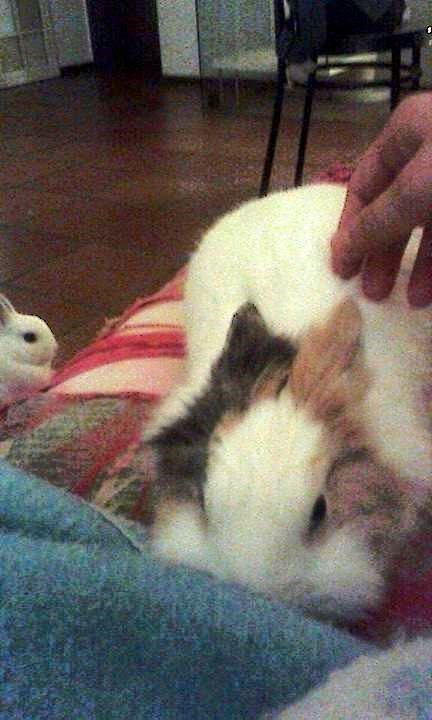 Oh, dear, another sordid domestic scene...bunnies sneaking around to be solo on the sofa with the hoomin attached to it. Why do we have to know all the secrets?